When working, it’s important to get into a rhythm. 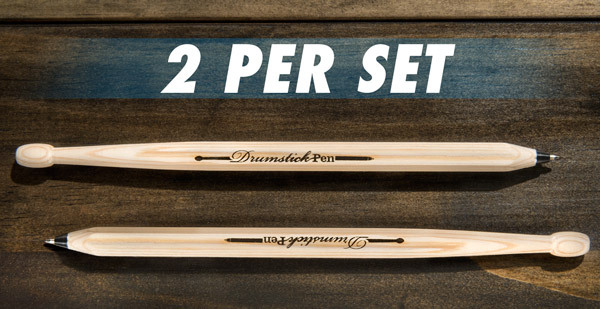 Get that rhythm rolling with the Drumstick Pen Set, a pair of wooden pens that double as drumsticks. Whether you're brainstorming that next great idea or just waiting for someone else, switch from William Faulkner to Questlove with a flip of the pen. 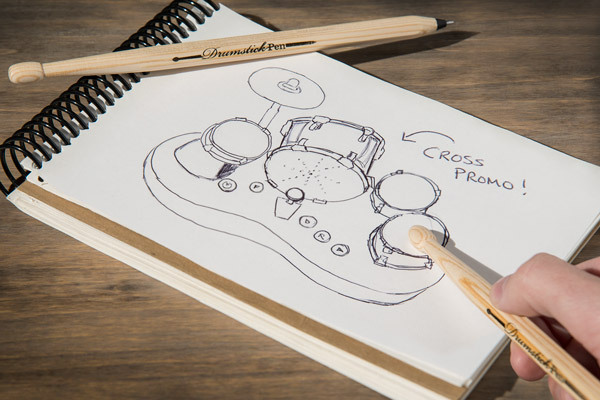 Since the Drumstick Pen Set is sized between a pen and a drumstick with an 8 ½” length, you can easily switch from paper to paradiddle. Write like a rock star! Getting on a writing roll is much easier when your writing tool keeps the beat. Pen a letter, pick up the pace. Doodle in a journal, diddle on the table. Take notes, tap a beat. Wherever your composition takes you, you can now compose the score to go along with it. Drumsticks come in pairs, and so do these pens. 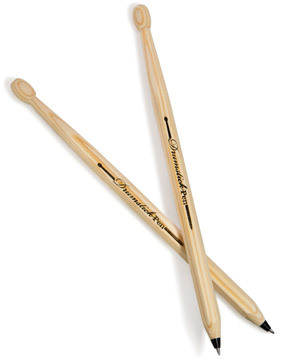 A drummer with one drumstick just wouldn’t be able to get the job done, so just like real drumsticks, these pens come in a pair. Keep one pen out for writing and the other nearby when it’s time for that drum solo. Each pen is filled with black ink and is made from wood that has been sourced from well-managed forests. Ready to write n’ roll! Question: Will I get better as a drummer with these pens? Answer: Well, they say practice makes perfect. Since you’ll have the tools of the trade with you, we have to think these will turn you into the next Questlove. Question: Do you think I can start a band at my office using rubber bands as a guitar and a cup of paperclips as a tamborine? Answer: Yes. A thousand times yes.